Your smile says a lot about you! 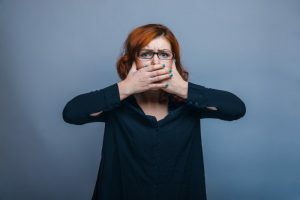 When your tooth is failing or missing, you might not feel confident about the appearance of your smile and you may be apt to hide it when you’re meeting someone new or talking to someone. This may affect the way that people perceive you and have a negative impact on your career or relationships. You’ve heard that a dental implant can replace your tooth, but it feels like a costly procedure and you wonder if it’s worth the investment? Here’s what you should know about dental implants. A dental implant is the only replacement option for missing teeth that restores both your root and your tooth. A titanium post is placed into your jawbone during a simple surgical procedure, and this is important because it ensures the health of your jawbone, which will start to deteriorate without a root to support. It also creates a firm foundation for your new tooth, or porcelain crown. Your crown is designed to closely mimic your natural tooth and by replacing your missing tooth, it protects against your other teeth shifting and creating bite misalignment. Your new tooth is also carefully crafted to match your existing teeth and complement your smile. The answer to this question is a resounding – yes! While implants are initially more expensive than other tooth replacement options, you have to consider the long-term picture. A dental implant protects your oral health and it can potentially last a lifetime with the proper home care routine and regular checkups with your dentist. Other replacement options such as a dental bridge or partial may only last 10-15 years and you will have to replace them. This makes a dental implant the more cost effective long-term investment. If you’re interested in learning more about how dental implants could benefit you, the first place to start is a consultation with your dentist. Implants do require enough healthy bone structure for proper support and your dentist can determine if they will work for you with an x-ray. It’s also important to be in good overall health, and your dental team can discuss with you any outstanding treatment that should be taken care of before you embark on implant placement surgery. Don’t let a compromised tooth impact your life any longer! Give your dentist a call to learn more about dental implants today. Dr. Mark M. Farthing and Dr. Armin M. Tepner comprise your dental team at Indianapolis Family Dentistry. 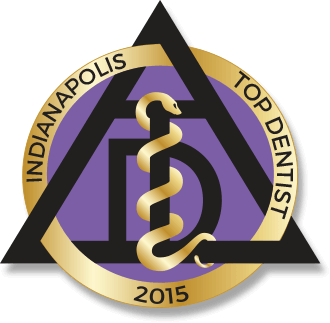 With years of experience and a commitment to excellence, patients will find their dental needs met with skill and compassion when they choose Indianapolis Family Dentistry as their dental home. Need more information about dental implants? Contact our office through our website, or by calling 317-898-3384. Comments Off on Are Dental Implants Worth the Investment?